The past month has been both a busy and exciting time for yours truly. A few weeks ago, my partner and I enjoyed our third annual vacation to Aruba and I am happy to share that we returned home engaged! 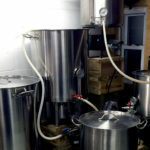 Since our trip, I have been brewing often and am currently planning a sour collaboration beer with Bube’s Brewery of Mount Joy, PA. March also marked the one-year anniversary of the launch of this website. It’s been an awesome year and I am very happy for all the great feedback I’ve gotten from fans of the site. 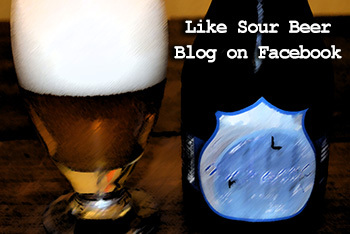 It makes me proud to be able to help educate and entertain sour beer fans and sour brewers. 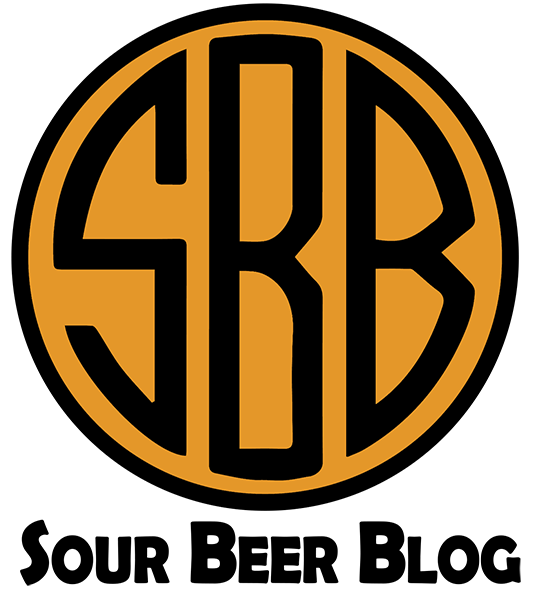 On the topic of great sources of education, I am also very proud to be the first sponsor of The Sour Hour on the Brewing Network! 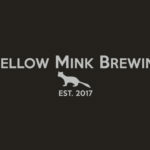 This all-sour brewing radio show and podcast is hosted by Jay Goodwin, head brewer for The Rare Barrel, and is an awesome resource for sour brewers on both the home and professional scale. If you haven’t done so already, you absolutely have to check it out! 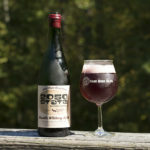 When brewing at home, I pretty much always take the opportunity that down time during the brewing process gives me to drink some sour beers with my friend, and site author, Cale Baker. This was exactly the case last Saturday, when we got to taste our first bottle of New Belgium Brewing’s dry hopped golden sour Le Terroir. 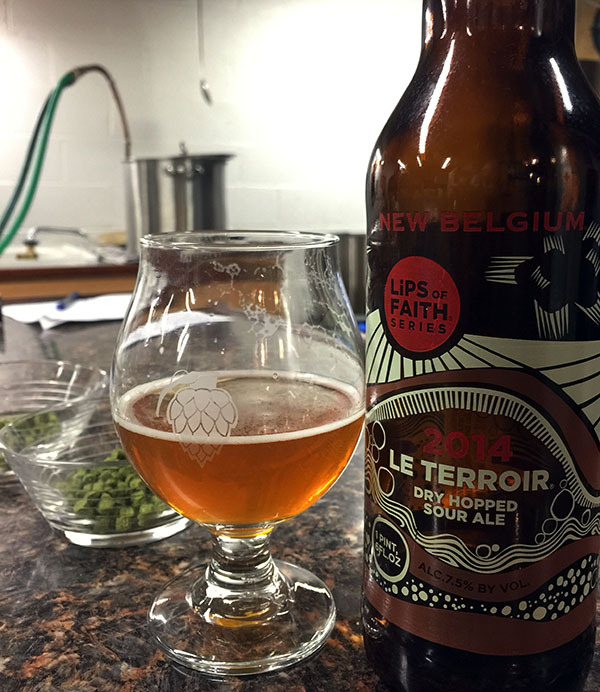 Many will already be familiar with the Colorado based craft brewing powerhouse for their Lips of Faith special release series which includes several nationally distributed sour beers including Le Terroir and La Folie. 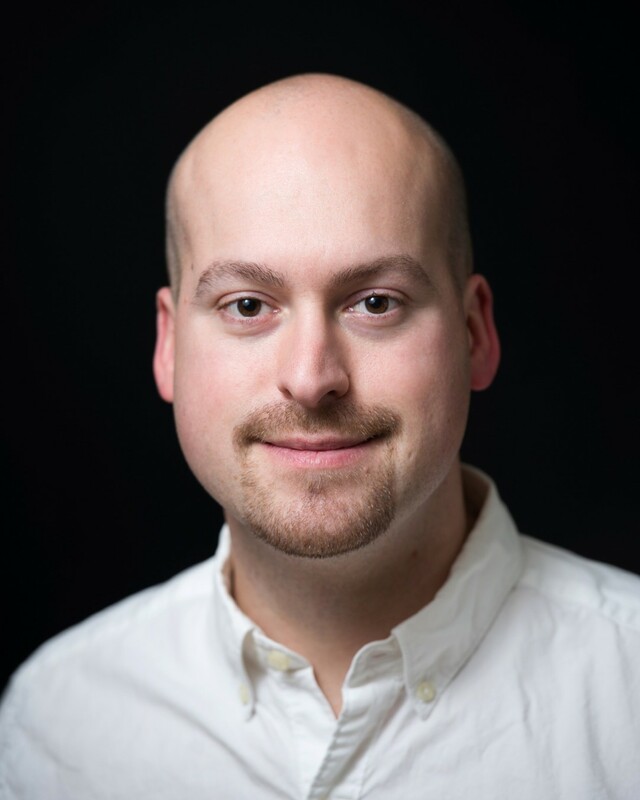 New Belgium was an early American adopter of sour beer when, in 1996, former Rodenbach brewer Peter Bouckaert came to work for the brewery. Since then, Bouckaert has become New Belgium’s brewmaster and their sour beer program has grown under the guidance and skill of Lauren Salazar. Check out Episode 2 of The Sour Hour to hear a very educational and charming interview with Lauren. Le Terroir begins its life as a golden lager named Felix which is then aged in New Belgium’s enormous fleet of oak foudres. A foudre is a large wooden aging vessel which provides a near perfect environment for the microbes in a sour beer to develop their acidity. Each year when producing the seasonal beer, Lauren chooses which foudres to blend and in which volumes in order to produce the sour base beer for Le Terroir. This base beer is then moved into stainless steel tanks and dry hopped using both large volumes of Amarillo hops and a smaller contribution of Citra hops. 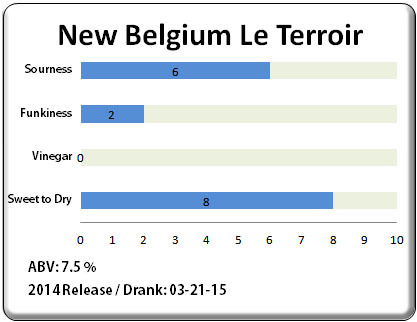 Like all of New Belgium’s beers, Le Terroir is pasteurized before release so its best to drink this one fairly fresh! Cale and I were enjoying Le Terroir so much, we almost forgot to take a photo of the beer! Le Terroir poured a slightly hazy light golden amber color with a fairly large volume of white head. The first aromas we picked up were the big bold citrus and tropical fruit notes which are a classic signature of Amarillo hops. The scents of mango, peaches, and grapefruit were all present. Underlying these were perfume & candy-like sweet aromas that we associated with the beer’s malt profile. More subtle were tart lactic acid notes and a slight grassy / herbal character. 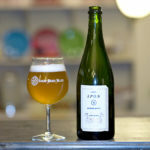 Upon tasting Le Terroir we were greeted with a delicious balance of complex acidity, citrus and herbal hop flavors, and a crisp pale malt profile. The beer’s sourness seemed to be largely the product of lactic acid with only a touch of acetic acid adding complexity without contributing any distinct vinegar flavors. There was no solvent-like ethyl acetate presence nor were there any off-flavors of any kind. 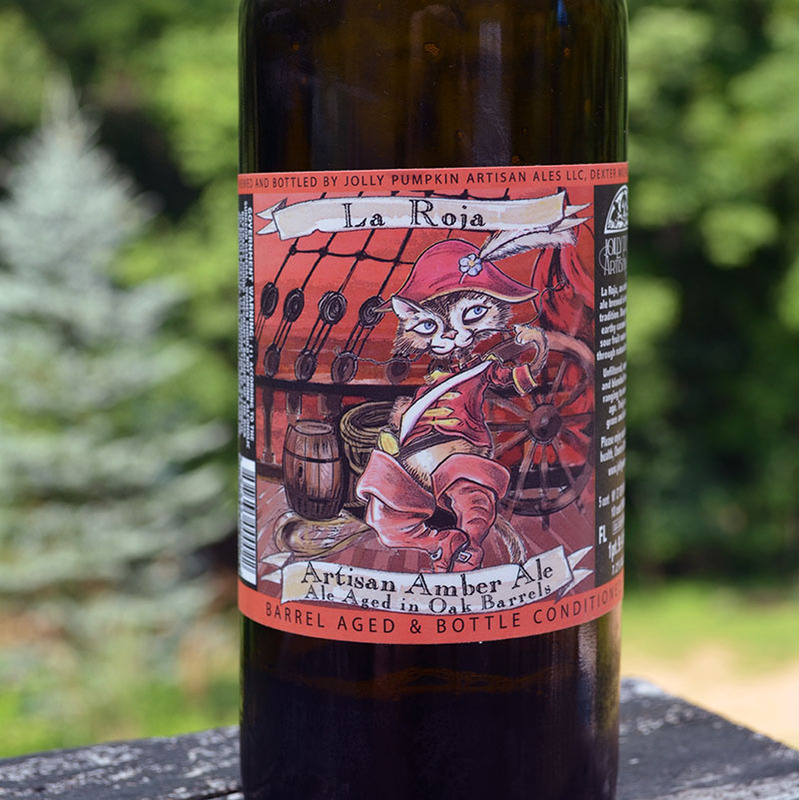 The sour & sweet balance in this beer played off of each other in a way that, when combined with the herbal and fruity hop flavors, reminded us of a very lightly sweetened fresh-brewed iced tea. The dry hops definitely contribute some of their fruit characteristics to the flavor profile of the beer as well, with lemon-lime and orange citrus being the most distinct of these flavors. Rounding out the beer’s profile was a light touch of white wine-like oak that reminded us of a sauvignon blanc. The beer had a light body with a medium level of carbonation and it finished pleasantly dry on the tongue. Additionally, the golden sour’s modest 7.5% ABV was well hidden flavor-wise but I could tell that if I drank more than one of these I would certainly feel it. I really enjoyed getting to try my first bottle of Le Terroir and I will most definitely be hunting down more of these each year. It was a delicious beer! When reflecting on it, I think the true quality of the beer’s character lays in its fantastic balance. All of its flavors played off of each other in a way that added up to more than the sum of its parts. It was by no means a wimpy beer, but its robust sourness, wide bouquet of hop aromas and flavors, oak, and malt notes didn’t overpower one another and nothing seemed to be lost in the background. 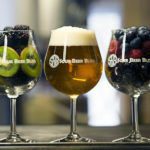 Lauren Salazar may have been the first brewer in the country to experiment extensively with dry hopping a sour beer and her skill as a blender definitely shows itself in Le Terroir. If you get a chance to try this excellent beer, don’t pass it up! 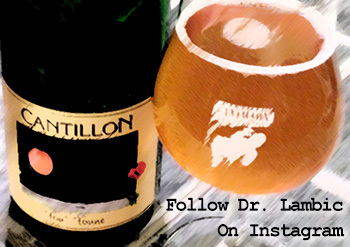 To learn more about the use of hops in sour beer, including tips for brewing your own and a review of Cantillon’s dry hopped gueuze Cuvée St. Gilloise, click here! 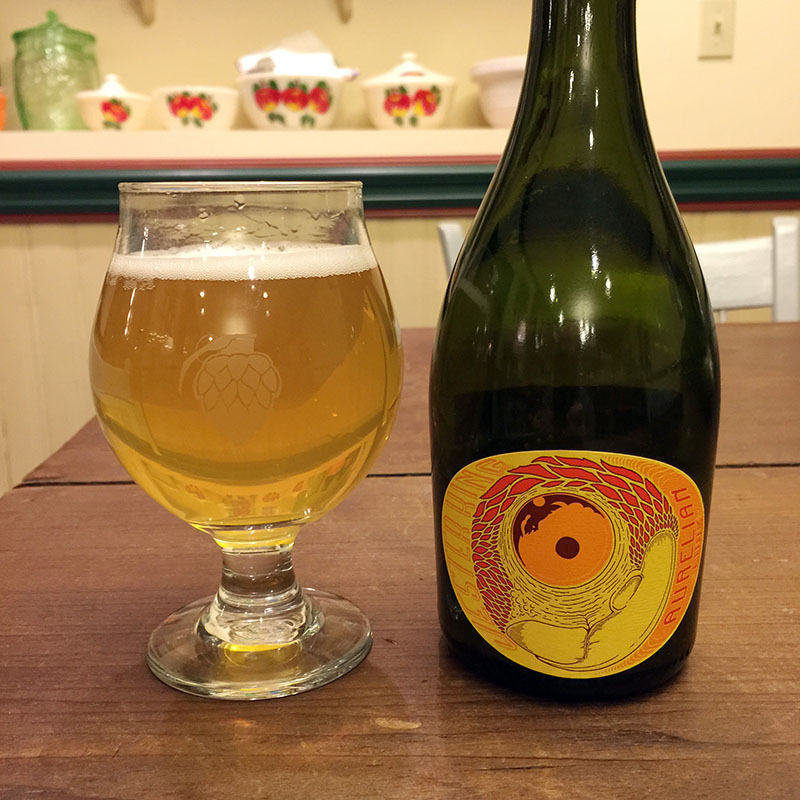 If you’re a fan of dry hopped sours like us, check out our reviews of Crooked Stave’s Wild Wild Brett Batch 60 and the Mikkeller and ToØl’s collaboration Betelgeuze. 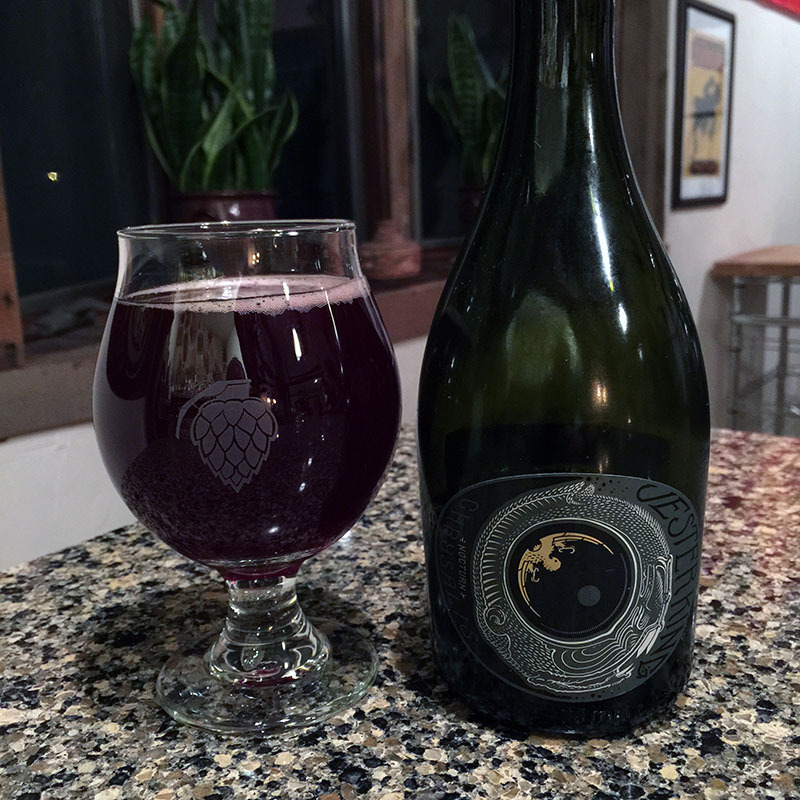 I don’t have a ton of experience with sours yet, but I know I love Le Terroir! This is one of my all time favorites. 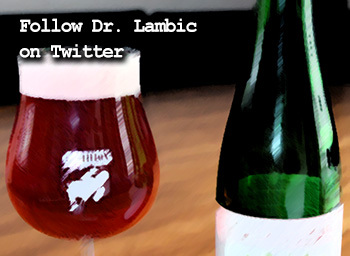 Dr Lambic, I think this beer is fantastic. If you were to try to make something like this, what would the recipe look like? Would you shoot for a 7.5% lager and add a blend of bugs to sour it up maybe something similar to their barrel PH1? I know The Rare Barrel also made a dry hopped sour. Did they just use their base recipe and brett/lacto to sour that? I have the ability to control my fermentation temperatures with my BrewPi and could make either an ale or lager, just trying to come up with the best recipe/bugs to make this happen. If you were to make one, how would you do it? Thanks for sponsoring the Sour Hour, love that show. 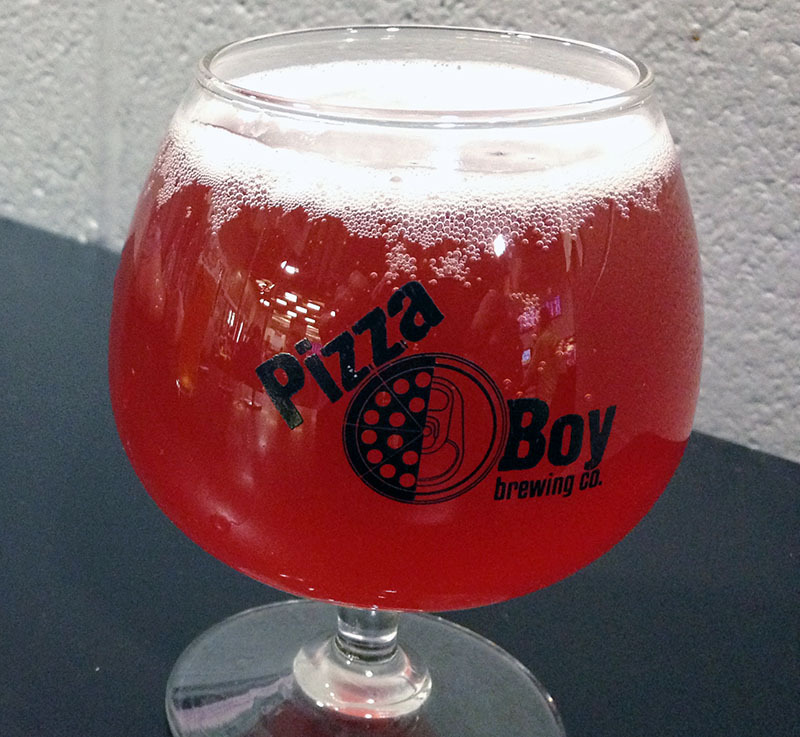 The Sour Beer Blog is a great site full of information. Thanks again. -Cool to 50 F, oxygenate, and pitch White Labs German Lager (WLP830), Ferment for 2-4 weeks. -Raise to 60-70F, after 10 days, transfer off lager yeast cake and pitch WLP648 Brett brux “Trois Vrai”. Age for 3 months. -Dry hop 5 gallon batch with 2 oz. Amarillo pellets and 1 oz. Citra pellets. After 1 week, rack to Keg, Carbonate, Enjoy Fresh. I haven’t personally cloned this beer but I have knocked out some excellent dry-hopped sours using a very similar process with ale yeast strains. I think this recipe would get you right in the ballpark and make a delicious dry-hopped sour regardless. Good luck and thank you for reading the blog and listening to The Sour Hour! Thanks Matt. It’s taken me a while to digest everything you said. I had to do some further research and now everything makes sense. Thanks a lot for taking the time to help out.